Eugene Gomes won the World's TOP CHEF award out of over 1,500 Indian Chef's, while he lived in the United Kingdom. He worked as a chef in over 27 countries for such prestigious restaurants and hotels as Le Meridien (Niece, France), Pinehurst (head chef, North Carolina) as well as in Edenborough, Scotland. 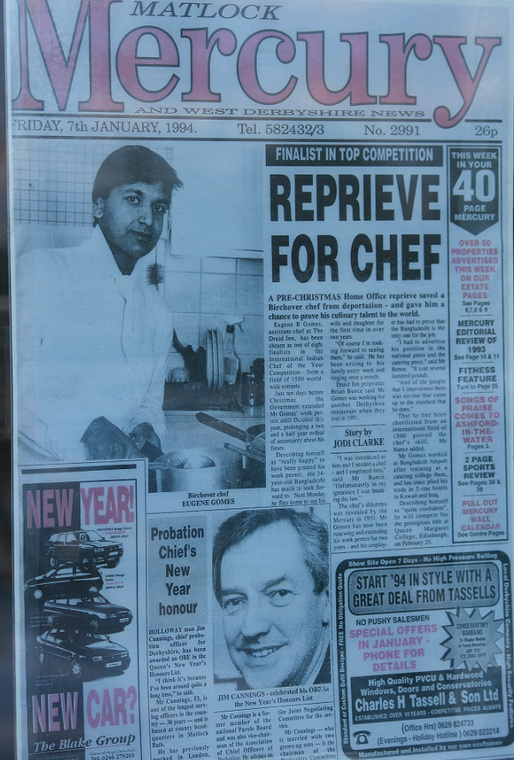 Known widely within the community for his work with Indian food, he is greatly respected and has served over fifty restaurants and five star hotels. In October 2009, Kadhai came under new management. Eugene has since revamped the menu and cuisine. Eugene also has a great talent in carving fruits, vegetables, and ice (can be viewed under Catering). With his artistic ability and his natural knack for making mouth watering savory dishes, he is an asset not only to those who he has served but also to the community.